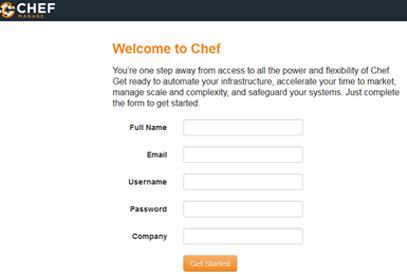 Get the Chef Server IP from DevOps Management console and launch chef from browser. 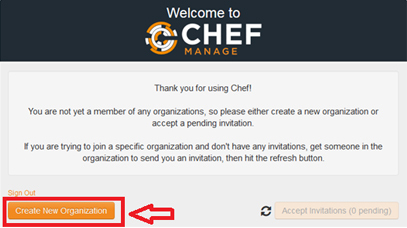 Sign up with Chef and fill all the mandatory fields. Click on “Create New Organization” to create an organization. Provide Organization “Full Name” and “Short Name”. 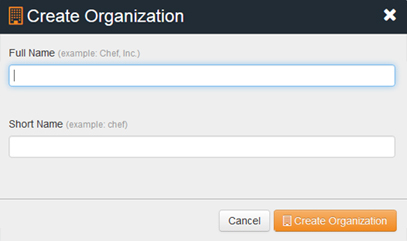 Click on “Create Organization” . Once the organization has been created, click on “Download Starter Kit” . Install Chef Development Kit on your workstation. 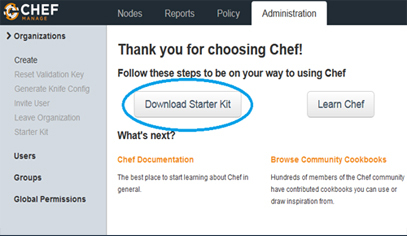 Extract the chef starter kit (downloaded in step 1) and place it on chef workstation. Fetch the chef server certificate on to the workstation by running the below command from /chef-repo/ directory extracted in last step.